Jul 12, 1999 in "IllumiNations: Reflections of Earth"
Earth Globe is the world's first spherical video display system, wrapped in 15,000 LEDs (Light-Emitting Diodes. 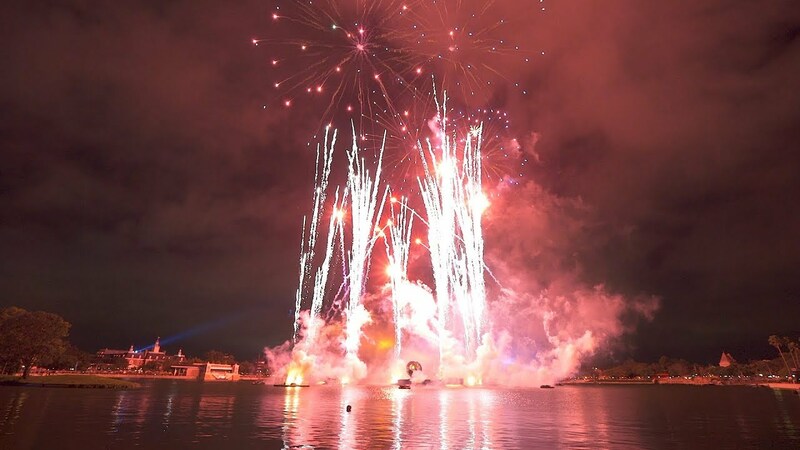 The grand finale to every evening during the 15-month-long celebration at Epcot is IllumiNations 2000: Reflections of Earth, the most thrilling and technically complex production ever created for the most popular nighttime spectacle in Walt Disney World history. The all-new nighttime extravaganza features fireworks, full-color lasers, lights, water fountains, fire and music. 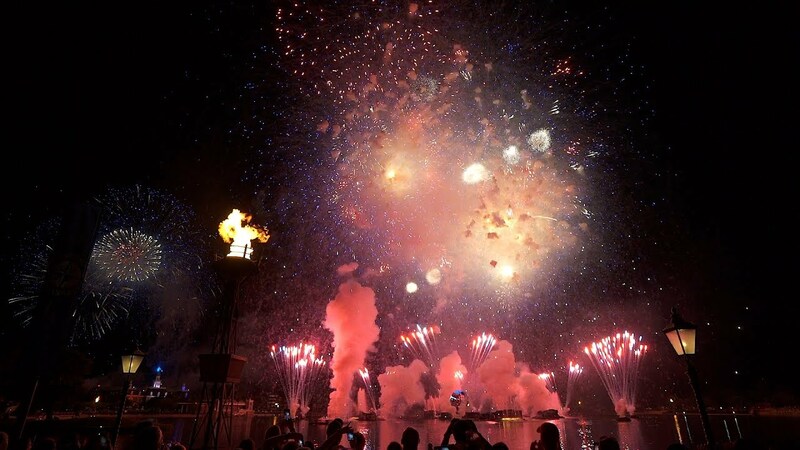 Leading the creative team are director Don Dorsey, creator of the original Main Street Electrical Parade, and fireworks designer Eric Tucker, the top medal winner for the past three years in the International Fireworks Exposition. 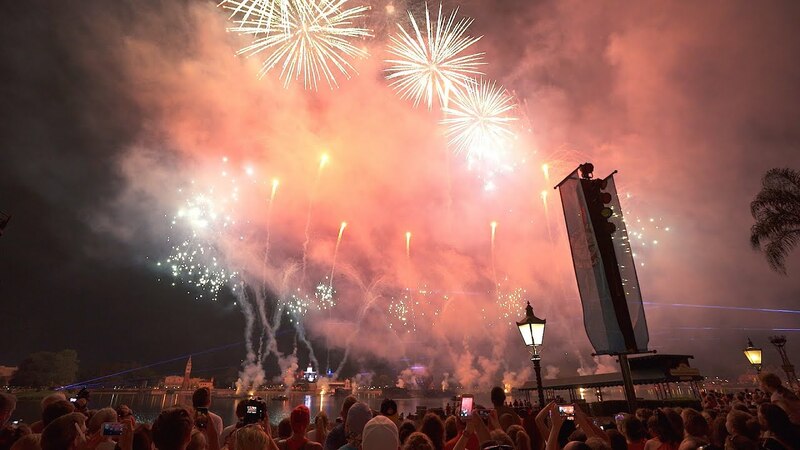 IllumiNations 2000: Reflections of Earth tells the story of the dawn of the third millennium, a symbolic time of rebirth, a global turning point for the human race," says Dorsey. "We’re presenting the entire history of our planet, from the beginning of time to the present, and looking into the future." As Tapestry of Nations goes dark, shooting stars streak across the skies above World Showcase Lagoon, colliding into a ball of fire. Plumes of fire light the sky in an explosion of sound and light. Steam and smoke rise, creating a sense of chaos, a sense of the dawning of time. A single voice becomes a chorus as the show focuses on a giant spinning globe in the middle of World Showcase Lagoon – a spherical video screen nearly three stories high projecting vivid images that celebrate human diversity and the unified spirit of mankind. The high-tech sphere "blossoms" to release a brilliant flaming gas torch which lifts 38 feet into the air in the show’s emotional closing, an artistic expression of mankind’s brilliant future as the music soars, lasers shoot skyward, fireworks illuminate the skies and flames leap across the surface of the lagoon. As the final chord fades, a massive explosion of sound and colors is united, a symbol of oneness in today’s world as we move forward into a new millennium.